The blogging community can feel so huge sometimes, and finding someone who is down to earth and real about the struggles, trials and tribulations is hard to come by. Lisa met Audree Kate through a mutual friend and it’s not hard to see why they hit it off right away. 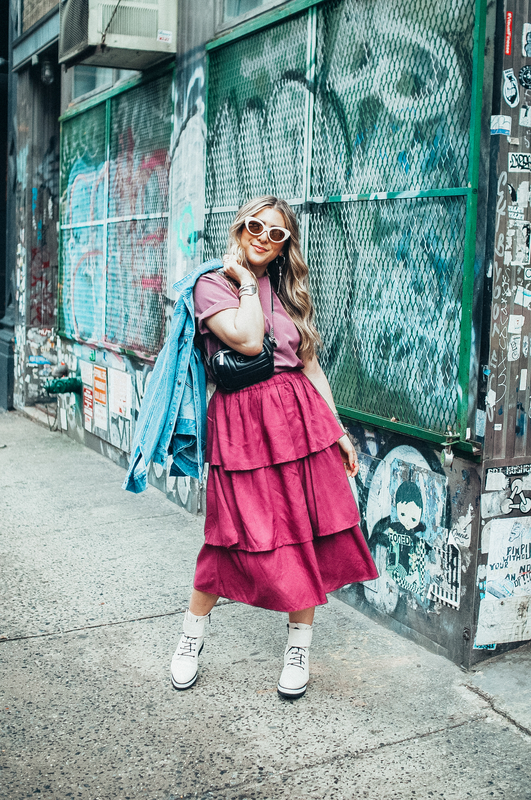 Not only is her personal style so fresh & absolutely swoon worthy, but we admire the fact that Audree has so openly shared & condensed all that she’s learned throughout her experience as a blogger, editor & stylist to help those interested in pursuing a career in the fashion world. clients. I have had the opportunity to work with incredible brands including: Marc Jacobs, Alice + Olivia, Glamour, J.Crew and Redbook. ‘Fashion Fundamentals: Internships, Networking and Social Media’. The workshop and eBook is to help students break into the fashion industry and learn how to stand out in a saturated and competitive job market. 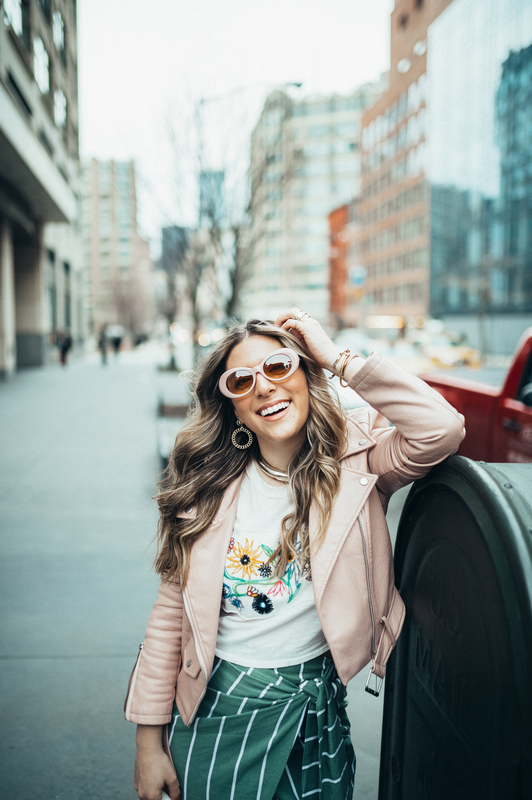 I wanted to provide these resources for students because I didn’t have any formal fashion education or experience before moving to New York, and I want to help guide them in the first couple years of their career. what truly makes me happy and how I can style my life in such a way. offered and still manage a 20-something social calendar. I became exhausted, unmotivated and overwhelmed. No one really cares if my instagram grid is perfect. I truly believe this, and that is my style theory. with strong women who did the same, my business and personal life changed. I wanted to work in fashion to help women. I want to change the conversation and preconceived notions about the fashion industry. 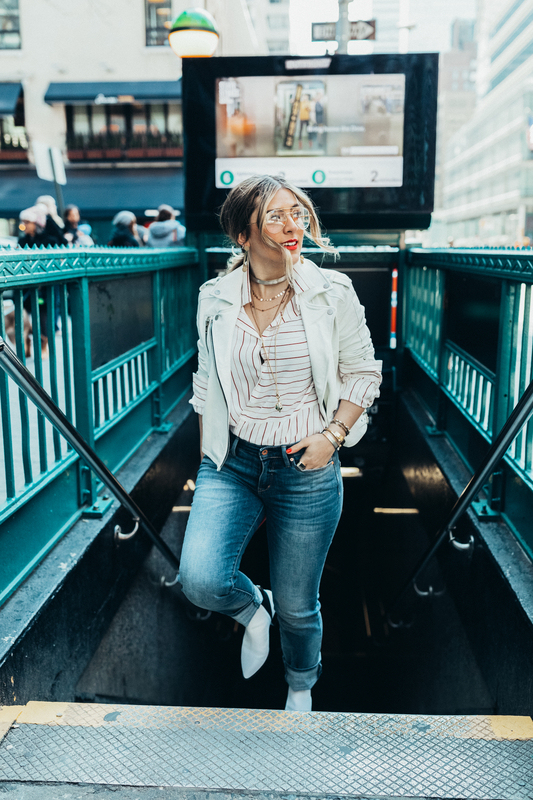 Through styling, blogging and writing, I want to inspire women to empower themselves, feel even more confident in their everyday life and use clothing and fashion to express themselves creatively. I am so grateful that I’m able to do something I love and that makes me happy every single day. and I know it all wouldn’t be possible without the love and support from women like Lisa and the The Style Theory team! Audree! This is a wonderful piece, Love your styling and that photo of you leaving the subway…… GORGEOUS! This truck have inspired me, since I’m breaking into the fashion industry myself. Thank you for showing us your story!